We are thrilled to announce that WSA has recently launched a new website! Working closely with Ottawa-based strategic marketing firm, TRUEdotDESIGN, we have developed a fresh, modern, user-friendly design to showcase our products and expertise. 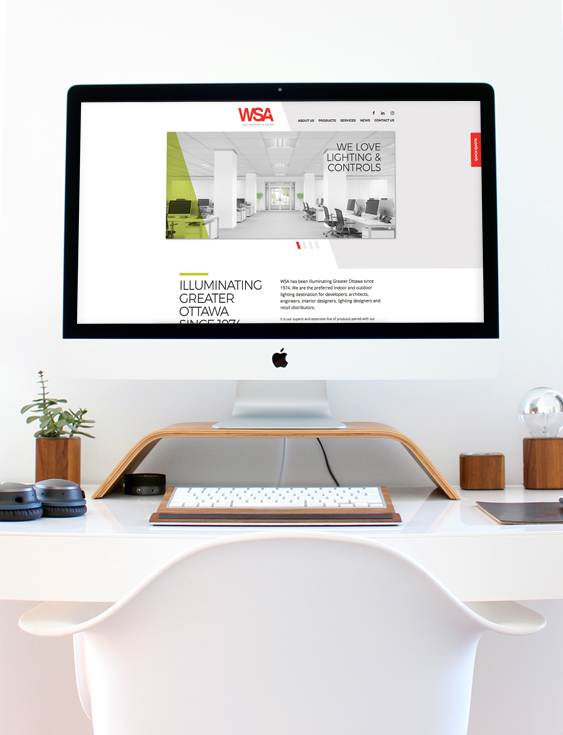 Illuminating Ottawa since 1972, WSA is the preferred indoor and outdoor lighting destination for developers, architects, engineers, interior designers, lighting designers and retail distributors. Don’t be in the dark! Stay on top of all things WSA by connecting with us on Facebook, LinkedIn and Instagram, where we will keep you up to speed on company news, industry updates, and new products and promotions.